Oh, I love a good baby activity. Particularly because it is SO much fun to watch my babies get completely immersed in an activity as I sip a peppermint white chocolate mocha that’s *actually* still warm. I don’t want you to have to scour through Pinterest during your *extremely* valuable baby naptime to find the best baby activities for your little one, so I’ve put together this giant list for you. 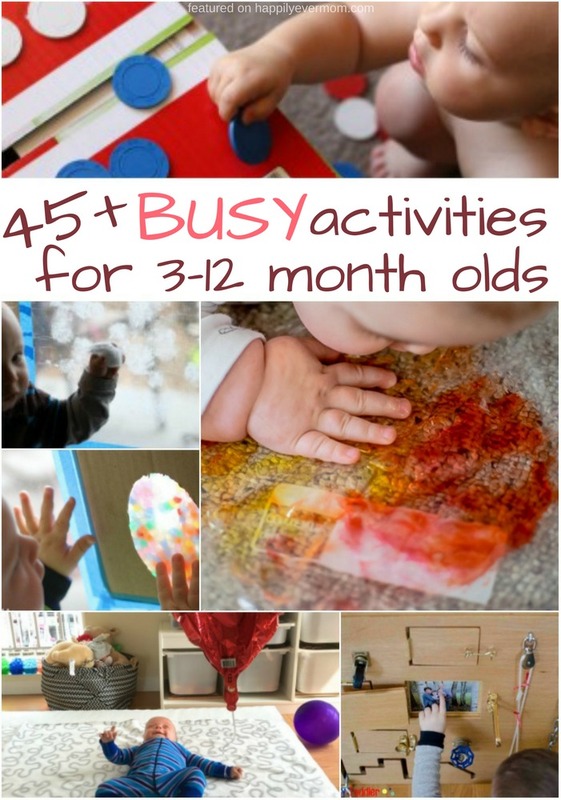 To make it even easier, I’ve split this giant list of over 45 brilliant baby activities for busy 1-year-olds into three categories: Art, Games, and Sensory Play. Let’s dive into this list, shall we?? First up is my favorite category: ART. It can be a little daunting to think about clean up. While other activities feature edible paint recipes that are safe for little ones! Here are the best art activities that any baby will love. Marble painting | Mama. Papa. Bubba. Tummy time painting | Mama. Papa. Bubba. Those art activities weren’t so bad, right? Next up is my go-to category: GAMES. 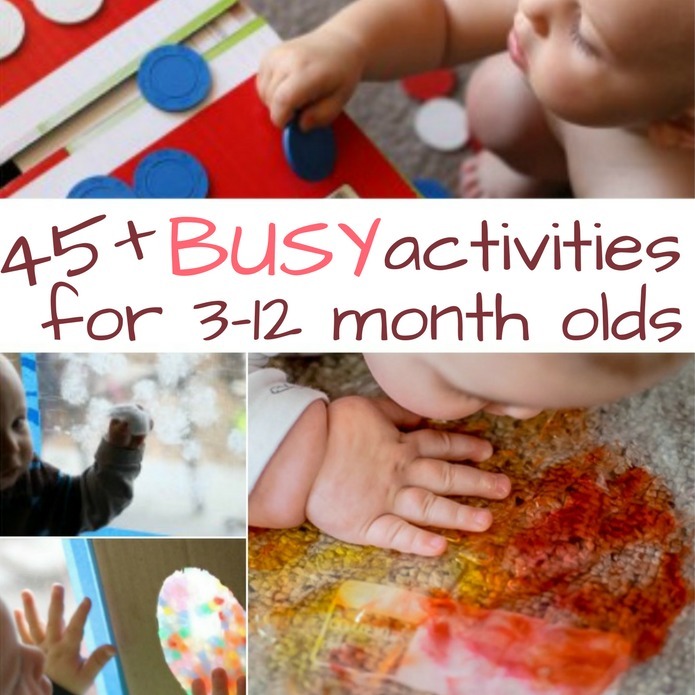 If you have a busy baby like I do, they will absolutely ADORE these activities. Choose these activities during a time of day when you need the baby to be a little more independent. Floating balloon game | Mama. Papa. Bubba. Last but not least: SENSORY PLAY. Babies need a chance to engage their senses, but I know it’s not always easy to give them those opportunities. Particularly, if you have a baby who loves to put EVERYTHING in their mouth like mine does. 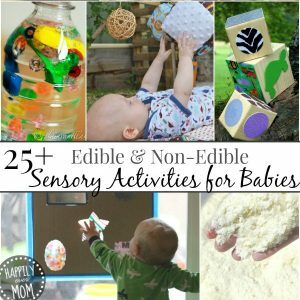 This list is SAFE for those babies who love to eat everything, but who need dynamic sensory input. Water bead play | Mama. Papa. Bubba. 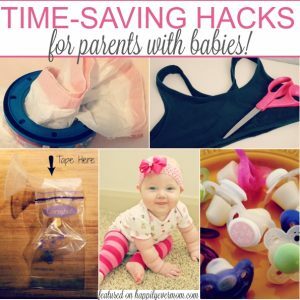 Encourage baby to sit with sensory bags | Mama. Papa. Bubba. Polka dot bags | Mama. Papa. Bubba. Make a sticky velcro board | Mama. Papa. Bubba. 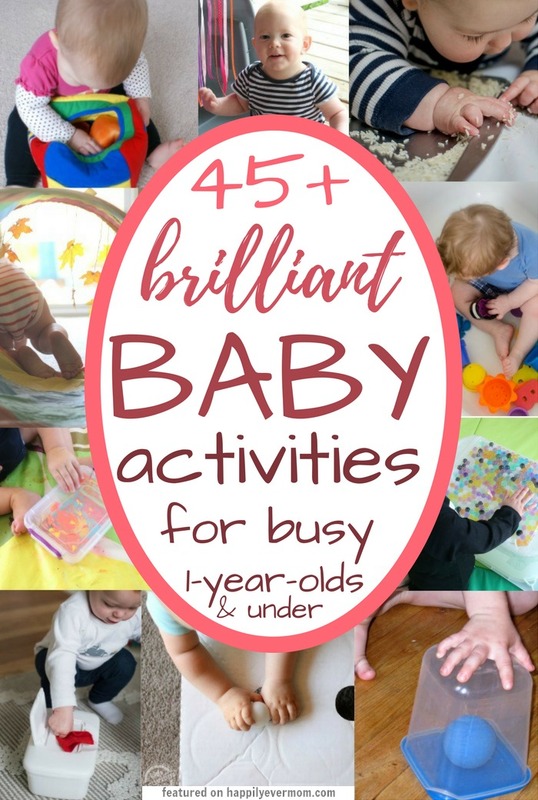 This list of over 45 brilliant baby activities is a fantastic resource for busy parents who KNOW that activities and play are essential for baby’s growth and development. If you’re like me and you’ll want to come back to this list, you can pin this list HERE. 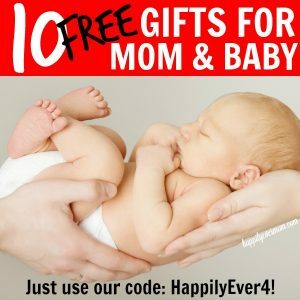 Or, follow our Just for baby! board and our FUN toddler activities board for more inspiration. Pinterest is my favorite spot to hang out, so I’ll see you over there! I enjoyed reading this post!! It’s amazing, I love that you separate the activities by category. I wish some of this ideas occured to me when mine were this age but it’s something I’d like to share on my social channels to my friends! Such a helpful list 🙂 Thanks so much for including my Tummy Time activity! Will pin this to share with my audience as well.